There's also the benefit from checking the miner's work, or other people's findings, and gaining a better understanding of how it all comes together as a result. 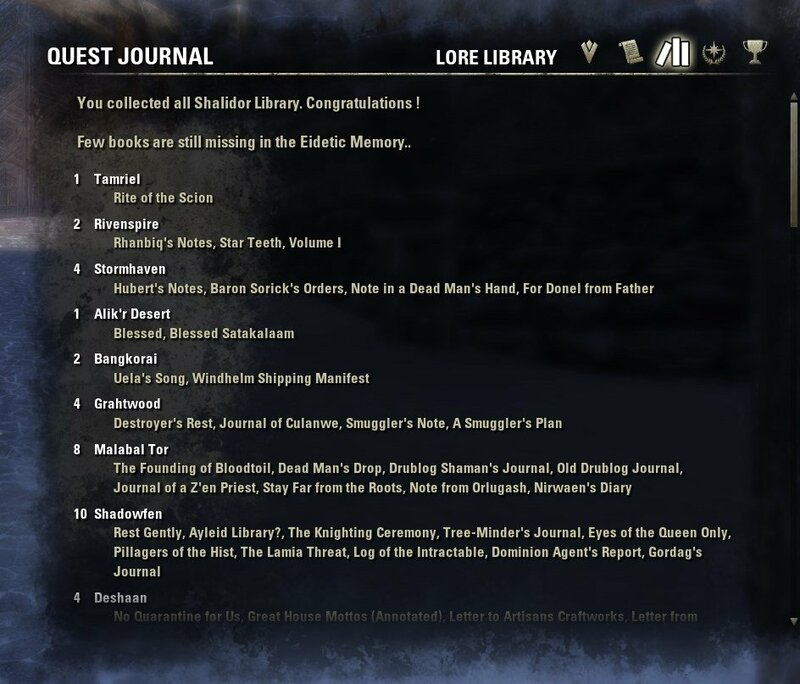 I've been running through quests associated with books people have reported to me as being bugged (so I can add them to the list of bugged books on the forums), and it's incredibly informative to find how books move from place to place throughout a quest chain, or how they're affected by events in a location shifting. 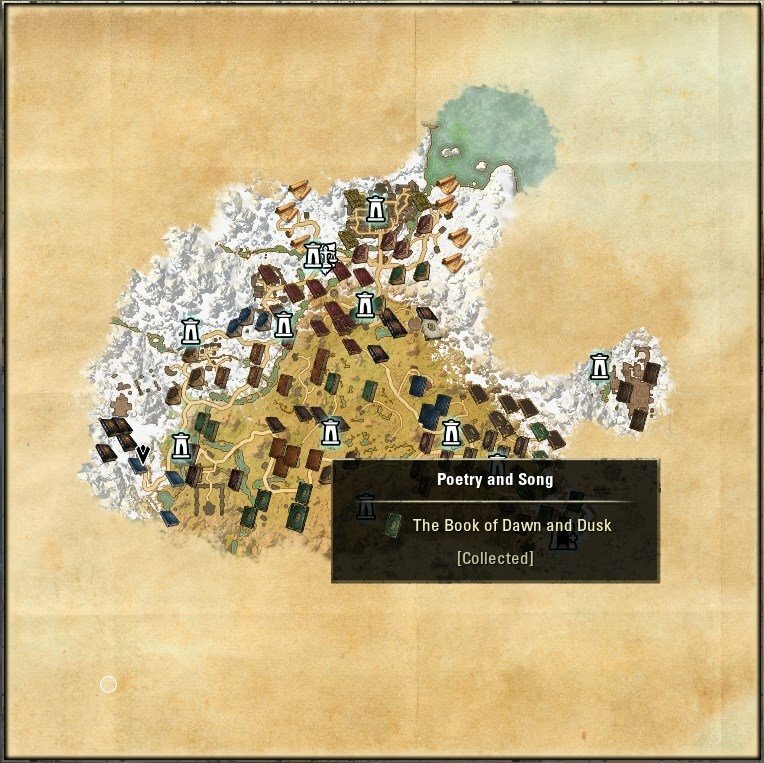 And as a result, I'd say it allows me to better report on and explain the issues as I come across them, which hopefully helps ZOS fix them more easily. 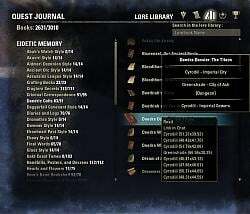 It's really exciting to see some of those being fixed this patch, hopefully with more to come before Elsweyr goes to Live. Good news for you, then! 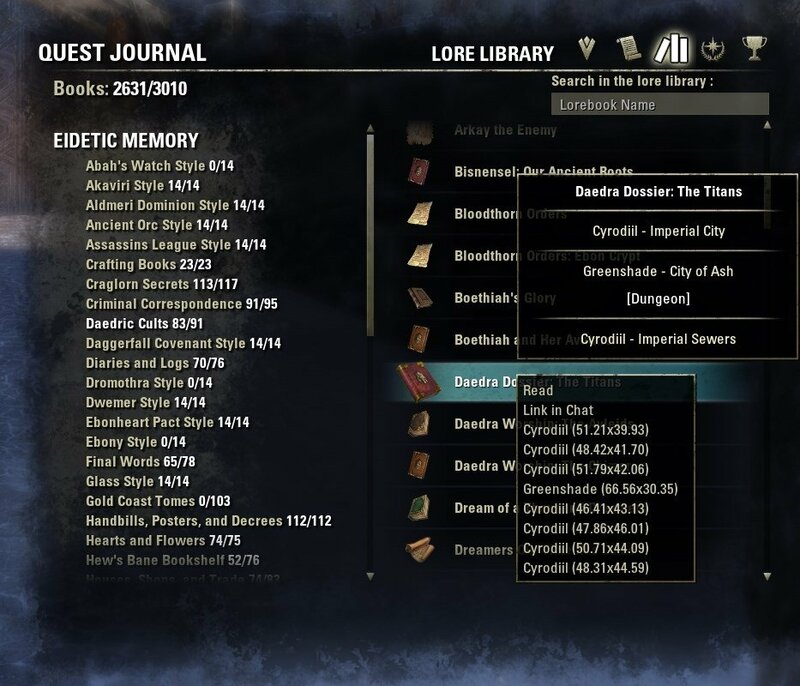 Just ran through PTS 5.0.1 looking at bugged books I've noted down, and both of those are fixed. 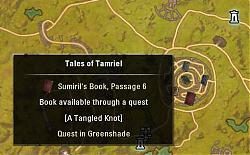 You'll be able to grab them in Shimmerene's Anchor's Aweigh Inn and the Conference Room of Alinor's Royal Palace, respectively! 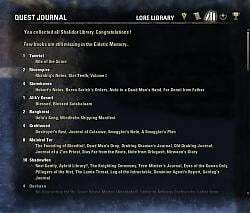 Last edited by Kyoma : 04/22/19 at 02:38 PM.